Let’s get your business on the web. Today. 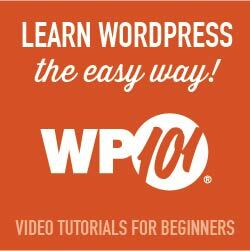 One stop WordPress websites and one stop support. Question about your web site? Need changes made to your site? Want a BLOG? Simply call CapeWP and your questions will be answered and your concerns addressed. Your web site is the first thing that your clients and your potential clients see. And sales are made or lost right there. They either stay and make contact with you, or move on to your competition’s site. How are your customers and potential customers perceiving your web site? Design a new site or refresh your old site. The Internet as we know it, is constantly changing, and this means your online approach to your business must be revisited often. Are you using Groupon? Is your web site mobile friendly? Do you Tweet? At CapeWP, we offer a premium service that manages your hosting, your web site design and changes, your domain name and your business email. We also offer just hosting or just Business Class Email. Your web site is… hosted on a custom managed server using state of the art technology and backup. Uptime and fast loading websites is our motto. CapeWP is in full control of the web sites that reside on your server and simply does not allow “risky” sites. Unlike some larger company’s “shared server” where anyone can sign up and run sites that are questionable and therefore put your site at risk of downtime. CapeWP servers only run sites for individuals or small businesses like yours and mine.